China's lawmakers on Wednesday called for the introduction of laws on ecological compensation mechanism to improve the country's ecological environment. Lu Hao, a member of the Standing Committee of the National People's Congress (NPC), said national legislation on ecological compensation is urgently needed. This is because the mechanism, as a key long-term strategy to cope with ecological and environmental problems, entails guidance from the top. Lu made the remarks at a panel discussion on a report on eco-compensation mechanism which was submitted to the top legislature's bimonthly session for deliberation. Another lawmaker, He Xuebin, supported the call for legislation, saying a law is essential to fix the responsibility and obligations of the beneficiaries of ecological protection efforts. The government has been exploring the building of the eco-compensation mechanism over the past decade or so. 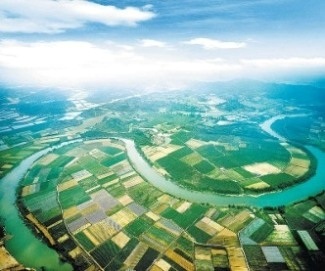 Legislation on sustainable development and ecological protection could help to standardize the mechanism's operations and make overall strategic planning for coordinated ecological, economic and social development, He said. The eco-compensation mechanism refers to a system in which governments and the beneficiaries of others' environmental protection efforts pay for the protectors' costs and the potential losses they incur by refraining from developing. Over the last 12 years, the annual investment of the central government in eco-compensation has grown from 2.3 billion yuan (368 million US dollars) in 2001 to 78 billion yuan last year, with the total sum reaching 250 billion yuan, according to the report.